Before thousands flocked to Dulles and J.F.K. and O’Hare with shouts of “Let them in”; before the executive order barring travel from seven Muslim-majority countries; before Donald J. Trump clinched the Republican nomination and then presidency promising to keep out terrorists by stemming the “tremendous flow” of refugees—Rahim, Rayhanna and their three young children arrived at my parents’ suburban Virginia home. My mom had spent the week before researching Afghani customs on the U.S. State Department’s website. They both had called me on speaker phone asking how to pronounce the traditional Muslim greeting, as-salamu alaykum, peace be upon you—my one semester of Arabic finally paying off! It was Easter weekend, and my dad worried if they needed to tip-toe around their Christianity, remove the bacon from the fridge, hide extra chocolate-filled eggs for the kids. My parents are no bleeding-heart liberals. You will not find them protesting at Dulles. They did not vote for Hillary Clinton or Barack Obama or Bill Clinton. But they are Christians, and they love the United States. And for them, that has always meant welcoming the lonely, the homeless, the foreigner. I can scarcely remember a time growing up when we did not have a cousin or a friend of a friend or a complete stranger living in the guest room. Rahim, Rayhanna, Hasib, Layma and Hamsa preferred to stick together in that guest room, though by the time they came my parents were empty-nesters with five rooms to spare. And the five of them could have stayed for the next five months, as far as Kathy and Rich were concerned. But, as my dad says, “Immigrants are the last ones most of us know who are looking for a handout from anyone.” Within a few weeks, Rahim, who had earned himself a spot on the Taliban hit list by working with the U.S. government to clear I.E.D.’s, had an apartment, a car and a job—inspecting food trays at Dulles. 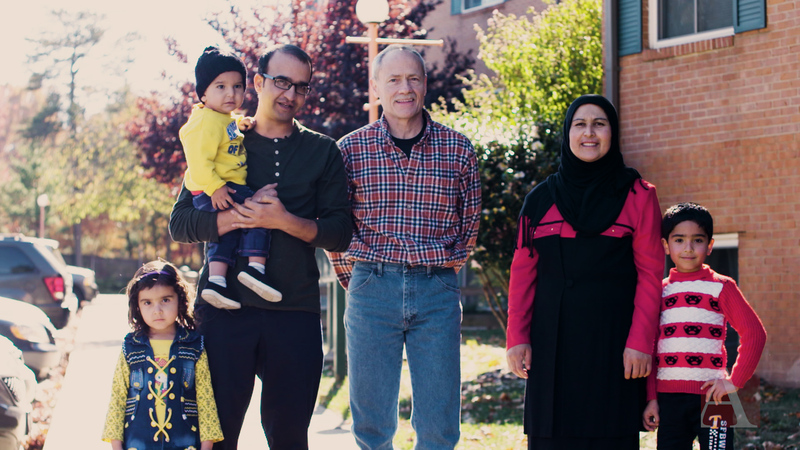 “I'm not one that dismisses the fears of my fellow countrymen,” my dad told me when I asked why he decided to welcome the Ibrahimis into his home. But closing our doors to migrants and refugees is not the answer. “We need more Muslims in our country,” he said, “who can be the examples that we can all look to and point to. Your parents are emblematic of two facts….they understand the obligation of Catholics to welcome strangers as is directed by Christ Himself in the Gospel, and they know that the vetting of refugees by the previous USA administration is already “extreme” and sufficient to protect the nation’s security. The fact, as well, that your dad is Republican proves that party affiliation is irrelevant to the recognition of and action upon truth.